Browse the latest dating advice from our top experts. Here you can find the hottest tips and up-to-date dating stats, not to mention tons of professional advice on the do's and don'ts of building your online profile, awesome first date ideas, trending topics and much more. Getting into online dating is more than just picking any site and making a profile. You have to know what it takes to succeed by using quality dating advice. Sure, you can look up online dating advice from any website. But with real dating advice from experts and helpful guides, you won’t be steered in the wrong direction. From beginning to end, we help you on your way to online dating success. Zoosk is one of the biggest names in online dating. The dating site is a great way to meet new people. The best part is, you can try it out for free. We take a look at the features, prices and usability of the best dating sites suited specifically for women. 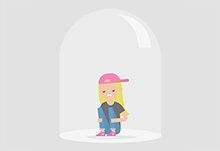 Dating sites are not one-size-fits-all, so you might want to look around before you commit to be sure that it’s right for you. Take advantage of free trials and pricing plans to find the site that's right for you. One thing you want to look out for when sifting through your options is a fake dating site. This is an online dating forum that may look legitimate but is actually nothing more than a scam. While for most of us the days of matchmaking Yentas are over, online dating has filled that gap. 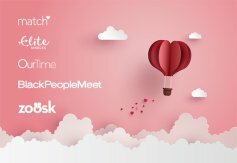 So, if you’re looking for a long-term relationship with someone Jewish, check out these 5 dating sites and apps. If you’re a Muslim single who’s ready for online dating, but not quite sure where to start, take a look at our top 4 recommended dating sites. Introverts crave meaning and intimacy, prefer quality over quantity, and let’s not even get started on the dreaded small talk. All these things can make dating in the modern world a challenge. Dating sites aren’t perfect. But the truth is that the old dating ways are even more awkward and far less effective. It’s time to quit hating, and start dating with the help of these 5 dating sites. Zoosk Insignia is a trailblazing new verification system that provides an extra level of safety against romance scammers claiming to be members of the U.S. military. 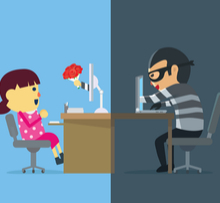 Do you know how to recognize online dating scams? Scammers can be tricky, but if you can tell the signs of an online scammer, you’ll have a better chance of dodging them. With our scam tips and advice, you’ll know when to recognize scams and how to avoid them. You’ll also enjoy online dating more when you know how to avoid being scammed. Want more information about dating and flirting? If you need online dating tips, we have exactly what you’re seeking. For instance, do you know the five best ways to begin with online dating? We’ve got an article explaining what you need. Not sure how to organize your dating life? There’s an article with simple steps to getting it right. Score that first date? Great! What do you do on the second date? Don’t know? No problem, we have the solutions you need. After the first date, you’ll want to find more ways to keep your date impressed while learning to get closer. Fun games and interesting conversation topics are the way to go so your relationship will continue to bloom. Online dating doesn’t have to be frustrating and difficult. With in-depth guides and plenty of tips, you’ll be on your way to winning real dates in no time. You might be surprised to know just how much astrology plays into the dating journey and finding compatibility. Think about it, if you don't have a clue whether or not you are compatible with someone, is that person worth your time? Lucky, we have some tips and advice to help you figure it out. Dating online and interacted with someone you feel like meeting offline? Great! In our local dating guides we will help you discover the local dating scene in your city so you'll know which pubs and restaurants to go to. Our experts have done the legwork for you and discovered the hottest dating spots in your location. From California to New York City, we’ve found the best date locations in your area. So save the effort of trying to reinvent yourself every time and surprise your date with an unexpected location.